Inspired by decades of legendary hiking boots, Danner® partnered with Vibram® to forge a new path in hiking footwear. The combination of the Vibram® SPE midsole and Vibram® Fuga outsole delivers unparalleled grip on wet and dry surfaces while providing superior cushioning. Designed to withstand the climate and terrain of the Pacific Northwest, Danner® utilized a rugged, waterproof suede upper and Danner Dry 100% waterproof protection. The Mountain 600 defines a new category in hiking boots they call Performance Heritage - combining classic styling with lightweight innovation. Each approx. 4.5"h., 15 oz. 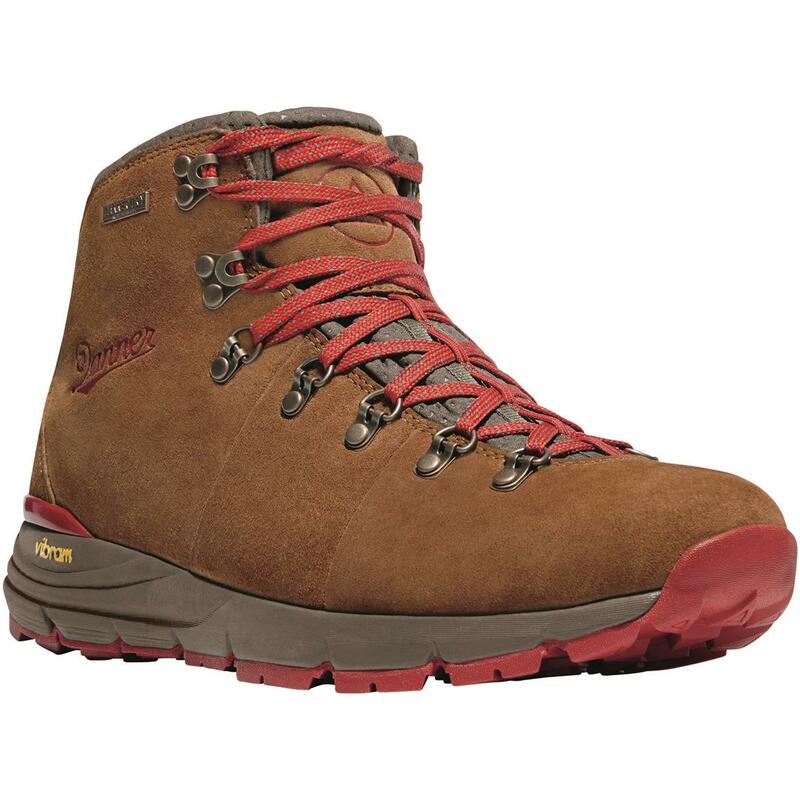 PLEASE NOTE: The Mountain 600 Hiker fits slightly large, and we recommend ordering a half-size down from your usual size. Order today! Weight per boot (approx. ): 19 oz.